This Limited Warranty is the strongest in the industry, and it’s Everlong. We guarantee that DreamCloud will be free from defects in workmanship and materials for as long as you own and use DreamCloud. For the first 10 years of ownership, we will replace your mattress with a brand new DreamCloud at absolutely no charge to you if defective in workmanship and materials. In years 10+ DreamCloud will completely repair and re-cover your DreamCloud, or replace your DreamCloud. All transportation charges will be waived if a manufacturing defect(s) or a materials failure is confirmed to exist. Your mattress must be used on an appropriate base such as a platform bed or other suitable bed frame. The warranty applies only as long as the original owner of the DreamCloud mattress owns the DreamCloud. The warranty does not apply if mattress has been burned or otherwise abused, damaged, misused, or neglected. In order to provide the most optimum sleeping surface the DreamCloud mattress contains only the finest quality materials. As with all premium sleep products, certain adaptations will take place as your mattress adjusts to your body shape. This is to be expected and is part of the performance of your mattress. Normal body impressions (not greater than 1.5”) are not defects and are not covered by the warranty. Excessive body impressions of greater than 1.5” are covered by the Everlong Warranty for as long as the original purchaser of the DreamCloud mattress owns it. DreamCloud supports the friendliest, clearest, and strongest mattress warranty in the industry. 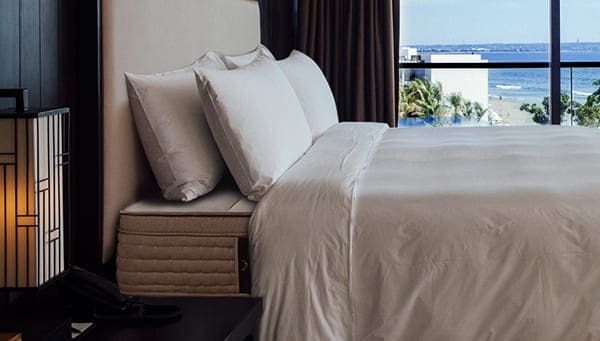 Your new DreamCloud mattress is covered by a Limited DreamCloud Everlong Warranty (the “Warranty”) for the full period of the original owner’s (“you”) ownership and use. This warranty is valid only for the original purchaser from the original purchase date of the Mattress and is non-transferable. The “original purchaser,” for the purposes of this Warranty, is the first purchaser of the Mattress from DreamCloud or a DreamCloud authorized retailer. Please retain a copy of your receipt as proof of purchase and owner. This Warranty extends to mattresses manufactured by DreamCloud (“DreamCloud”) and purchased directly from DreamCloud or DreamCloud’s authorized retailers (the “Mattresses”). DreamCloud warrants the Mattress in its original packaging sold to you against the defects in material and workmanship set forth below (“Defects”) for the full period of ownership by you and use by you commencing from the time your Mattress is purchased by you. Any product which has been subject to misuse, neglect, accident or used in violation of instructions, including instructions to place mattress on proper bed frame. For the first 10 years of ownership, we will replace your mattress with a brand new DreamCloud at absolutely no charge to you. In years 10+ DreamCloud will completely repair and re-cover your DreamCloud, or replace your DreamCloud, at DreamCloud’s option. The only charge you will incur will be a transportation costs of $50 each way, which charges will be waived if a Defect is confirmed to exist by DreamCloud. 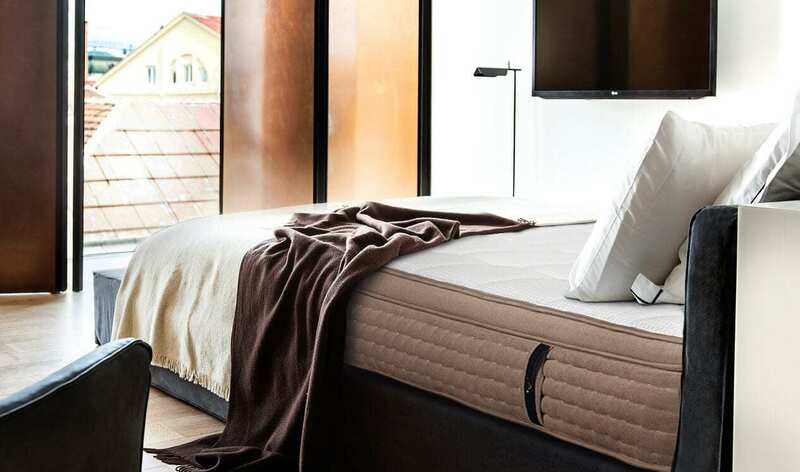 In order for this Warranty to apply, the Mattresses must be used on a firm, solid-surface, such as a bed base that is structurally capable of supporting the weight of the Mattress and user(s) for the entirety of its use. You must return your Mattress or Mattress Cover and show proof of original purchase. In years 10+, You will be responsible for a $50 shipping fee, each way, associated with shipping replaced or repaired Mattresses. This fee will be waived upon DreamCloud’s confirmation of a Defect in materials or workmanship. At DreamCloud’s option, DreamCloud may authorize you to provide photo evidence of defect in lieu of retuning the Mattress. THIS WARRANTY GIVES YOU SPECIFIC LEGAL RIGHTS, AND YOU MAY ALSO HAVE OTHER RIGHTS WHICH VARY FROM STATE TO STATE AND JURISDICTION TO JURISDICTION. TO THE EXTENT PERMITTED BY LAW, THIS WARRANTY AND THE REMEDIES SET FORTH HEREIN ARE EXCLUSIVE AND IN LIEU OF ALL OTHER WARRANTIES, REMEDIES AND CONDITIONS, WHETHER ORAL, WRITTEN, STATUTORY, EXPRESS OR IMPLIED, INCLUDING WITHOUT LIMITATION, WARRANTIES OF MERCHANTABILITY AND FITNESS FOR A PARTICULAR PURPOSE AND WARRANTIES AGAINST HIDDEN OR LATENT DEFECTS. IN SO FAR AS SUCH WARRANTIES CANNOT BE DISCLAIMED, DREAMCLOUD LIMITS THE DURATION OF SUCH WARRANTIES TO THE SHORTER OF EITHER A) THE DURATION OF THIS WRITTEN WARRANTY, OR B) ANY MAXIMUM DURATION FOR IMPLIED OR STATUTORY WARRANTIES PROVIDED BY STATUTE. SOME STATES DO NOT ALLOW EXCLUSIONS OR LIMITATIONS ON HOW LONG AN IMPLIED WARRANTY MAY LAST, SO THE ABOVE LIMITATION MAY NOT APPLY TO YOU. DREAMCLOUD LIMITS THE REMEDIES FOR SUCH WARRANTIES TO, AT DREAMCLOUD’S OPTION, THE REPAIR OR REPLACEMENT SERVICES DESCRIBED HEREIN.TO THE MAXIMUM EXTENT PERMITTED BY APPLICABLE LAW AND EXCEPT AS SET FORTH IN THIS LIMITED WARRANTY, IN NO EVENT WILL DREAMCLOUD OR ITS SUPPLIERS BE LIABLE FOR PROCUREMENT OF SUBSTITUTE PRODUCTS OR OTHER SPECIAL, INCIDENTAL, CONSEQUENTIAL OR INDIRECT DAMAGES ARISING OUT OF OR RELATED TO THE DREAMCLOUD MATTRESS OR ITS USE BY YOU OR ANY THIRD PARTY, WHETHER UNDER THEORY OF CONTRACT, TORT (INCLUDING NEGLIGENCE), INDEMNITY, PRODUCT LIABILITY OR OTHERWISE. THIS LIMITATION WILL APPLY EVEN IF DREAMCLOUD HAS BEEN ADVISED OF SUCH DAMAGES AND NOTWITHSTANDING THE FAILURE OF ESSENTIAL PURPOSE OF ANY LIMITED REMEDY. DREAMCLOUD’S TOTAL LIABILITY WILL NOT EXCEED THE PURCHASE PRICE PAID FOR THE MATTRESS GIVING RISE TO SUCH LIABILITY. SOME STATES DO NOT ALLOW THE EXCLUSION OR LIMITATION OF INCIDENTAL OR CONSEQUENTIAL DAMAGES, SO THE ABOVE LIMITATIONS AND EXCLUSIONS MAY NOT APPLY TO YOU. In the event a dispute arises between you and DreamCloud arising out of this Warranty, such dispute will be determined and settled by binding arbitration between the parties, in accordance with the Commercial Arbitration Rules of the American Arbitration Association (“AAA”). More information about the AAA is located at www.adr.org, or you can call the AAA at 1-800-778-7879. Arbitration will take place in San Francisco, CA. The arbitration will not be combined with any other proceeding or arbitration against one of the parties. Each party will designate one arbitrator and the two designated arbitrators will select a third arbitrator, who will serve as the chair of the arbitration panel. If the two arbitrators cannot agree on the third arbitrator, then the AAA will appoint the third arbitrator. The AAA may require information related to your product including purchase information. Barring extraordinary circumstances, the arbitrators will issue their decision within 120 days from the date the third arbitrator is selected by the two designated arbitrators or appointed by the AAA. The arbitrators may extend this time limit for an additional 30 days in the interests of justice. All arbitration proceedings will be closed to the public and confidential and all related records will be permanently sealed, except as necessary to obtain court confirmation of the arbitration award. The decision and the arbitrators’ award will be in writing and will include a statement setting forth the reasons for the disposition of any claim. Any dissenting decision will also be set forth in writing. The arbitrators’ award will be final and binding on the parties, and judgment thereon may be entered in any court of competent jurisdiction. You must seek arbitration for disputes arising out of this Limited Mattress Warranty prior to exercising any rights or seeking any remedies created by the Title I of the Magnuson-Moss Warranty Act. If you choose to pursue any rights and remedies that are not created by Title I of the Magnuson-Moss Warranty Act, then arbitration is not required by the Magnuson-Moss Warranty Act.